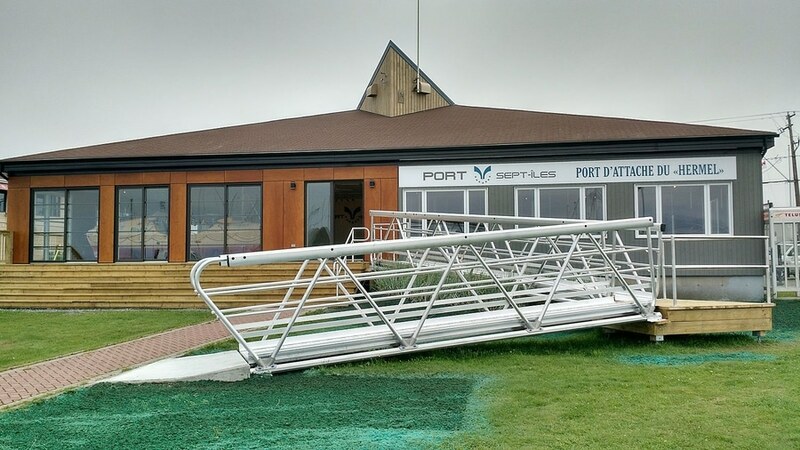 Paquette’s 7.3-meter-long fiberglass row boat is permanently displayed in the lobby of one of the Port’s administration buildings as a way to grow the Port’s prominence as a Tourism hub in the region, where cruise ship passengers and vacationers, local visitors, and school children will enjoy seeing the boat up close. 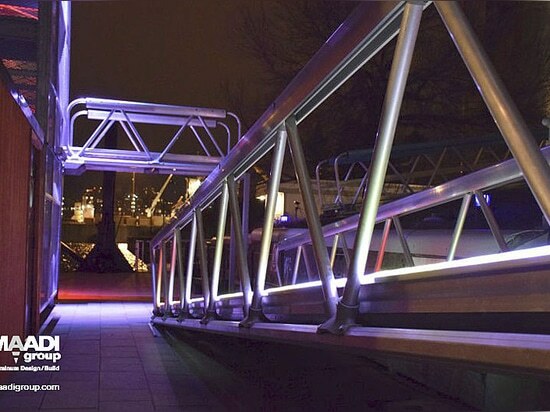 The Make-A-Bridge® pedestrian bridges ensure easy entry to see Paquette’s iconic vessel. 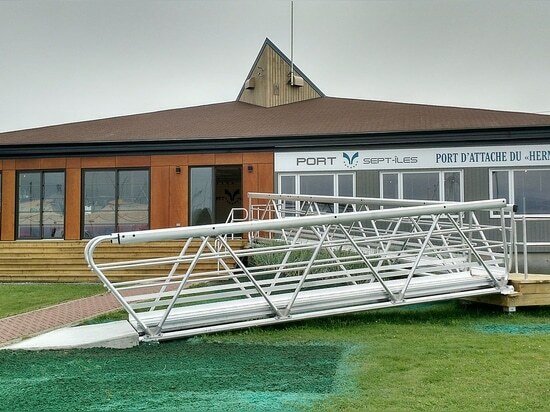 General Contractor for the Port of Sept-Îles project, Construction RIC inc., Sept-Îles, Qc, installed the two MAB pedestrian bridges according to the plans of BGLA Architecture + Design Urbain, Québec, Qc. 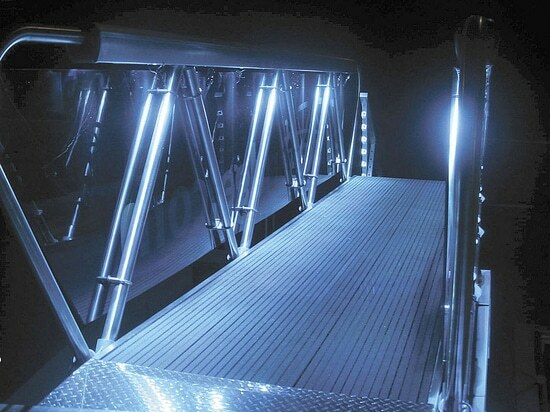 The Make-A-Bridge® modular weld-free design is made with an extruded aluminum truss structure and guardrails and patented cast aluminum tripod node joints that form its interlocking system. 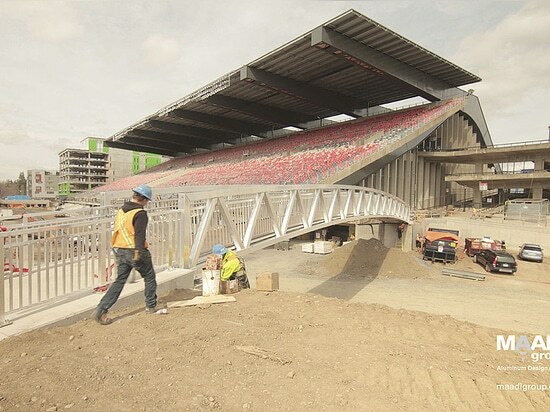 The bridge combines structural strength with the long-term benefits of maintenance-free and 100% recyclable aluminum. For more information, contact Alex de la Chevrotière, P. 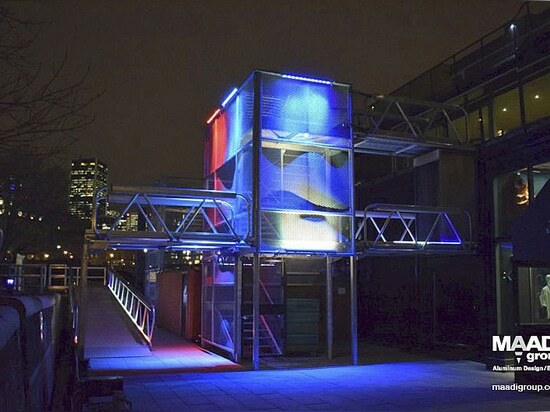 Eng., info@makeabridge.com; Tel: 450.449.0007; and see our MAB Catalog at www.makeabridge.com. Photos courtesy of the Port of Sept-Îles.